The perfect gift! 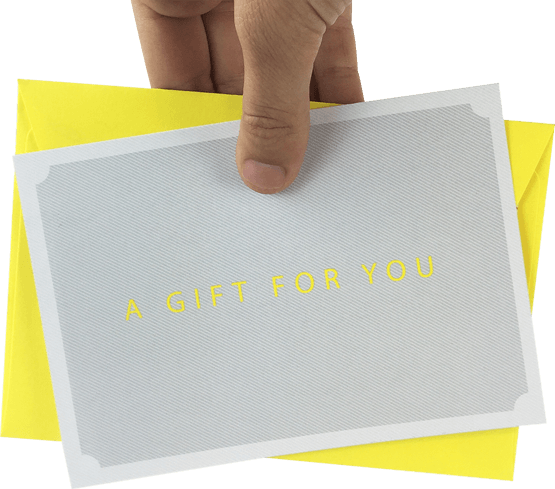 Our gift cards come as a high quality satine matte card packed in a bright yellow envelope and will be sent just where you would like it. They are also available digitally, contact us for more info.